The dedicated electronic control board is designed and produced to control and manage professional cleaning machines. 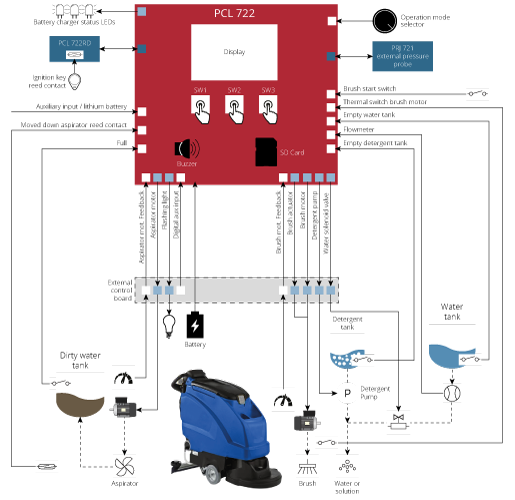 This board is created specifically to implement a user interface that control professional floor scrubber driers by means of display and 3 capacitive touch keys. It communicates with an external board to power control all the functions required.